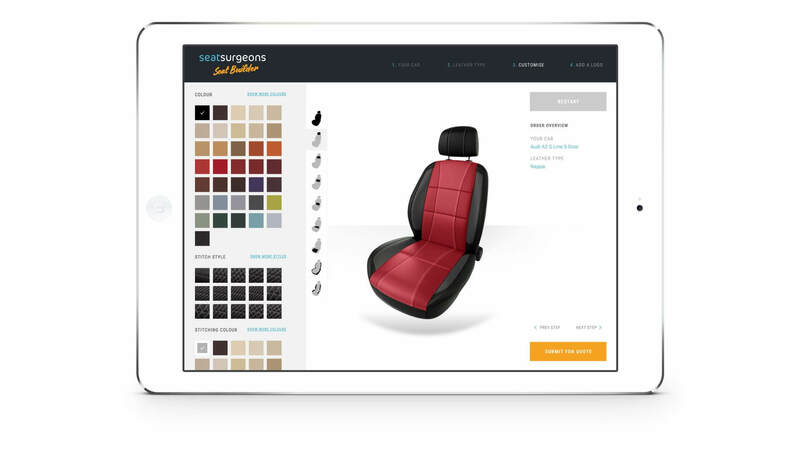 In 2015 Seat Surgeons partnered with us to plan, design and develop their brand online, as their business has grown and now with an increased service offering, we were tasked with creating a custom seat builder. For such an ambitious brand, we couldn’t have been more excited to make the builder not only look amazing but to meticulously plan the user experience. The result is a pleasure to use and a fantastic tool to get creative by exploring the different leathers, colours and stitch types, it’s just getting the finishing touches it deserves before being launched. We wanted the seat to be as realistic as possible so the customer can get a great idea of how their seats will end up looking. Our 3D team spent a long time perfecting every last detail so it looks like the real deal! 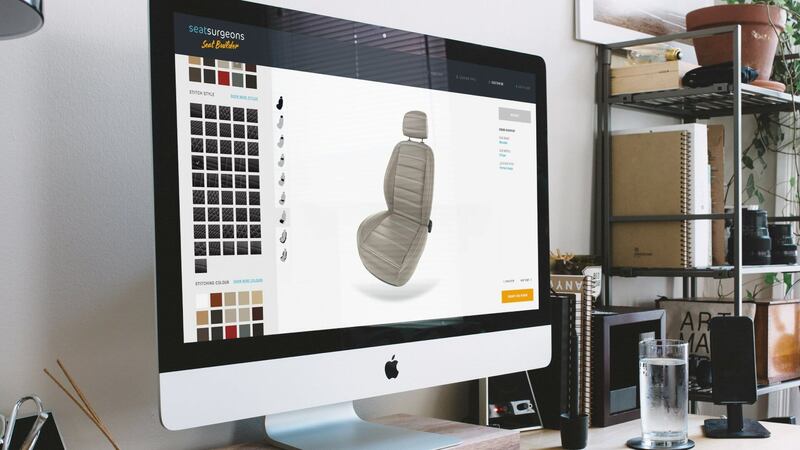 The seat configurator is a unique feat in web technology as most product builders of this nature rely on hundreds of pre-made images that are shown/cropped depending on what you have selected. In this instance that wasn’t possible as it would place the number of images into the tens of thousands, so instead we only used a small selection of stitches and leathers with the latest browser technologies to manipulate them instantly. For example the stitching is always white and the leather is always black however when a colour is picked we adjust the hue, saturation and luminosity amongst many other factors to adjust them in the same way a software package like photoshop does but in real time.